**DUPLEX** ATTENTION INVESTORS! Excellent Rental Income...RENTAL UNITS are hard to come by in Echo Bay, this perfect location is within walking distance to all amenities and elementary school. 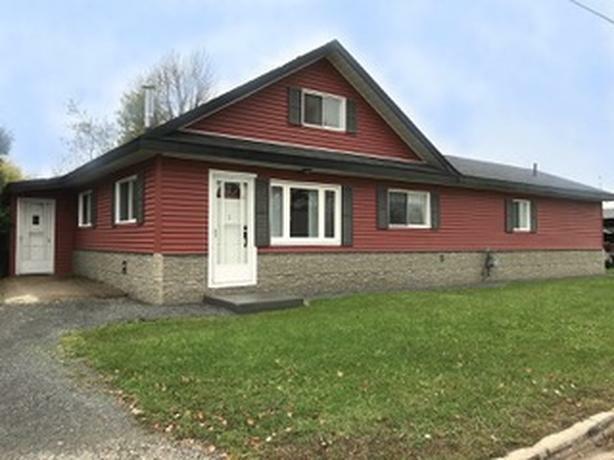 Completely renovated; Shingles, Siding, Windows & Doors, Wiring, Plumbing, Kitchens, Baths, Flooring, Hot Water Tank, Gas Furnace, 2 Gas Wall Heaters. Larger back unit is forced air system, front unit has two gas wall heaters. Potential for third rental on second floor or additional bedrooms for lower units by two sets of drop down stairs. Three Bedroom unit is currently renting for $1050 per month. Two Bedroom is currently vacant but was $750/month all included. Live in one, mortgage paid by other, only 10 minute commute to Sault.